In fact, I'll probably make several posts about them. The upper one there is a 2013 #2 SYP KD-HT treated with "Frameguard", a piece of drop from a current project. 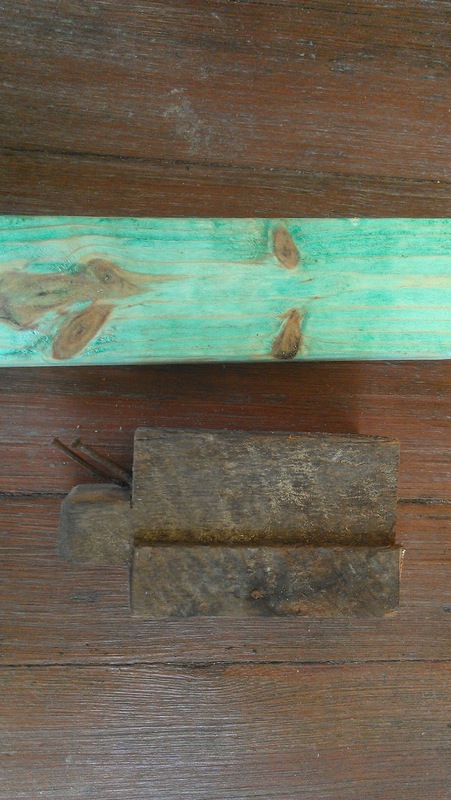 The lower one is a circa 1850 longleaf pine from our house. From our viewpoint as carpenters, the two boards can be compared in terms of stability, resistance to rot and termites, strength, ease of use, and cost. Now, as an old-house junkie and aspiring craftsman, I have a strong preference for the old stud -- bordering on bigotry against the new. But I have to admit that there are some ways in which the new wood outperforms the old. I'll get to that eventually. For now, just have a look at the end-grain of each board (that's where you see the growth rings, not the side of the board). 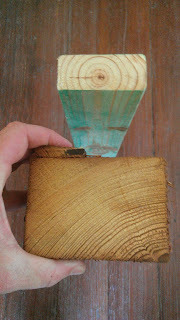 The new stud is cut from smack in the middle of a young tree, whereas the old is from an undetermined corner of a very old tree. If each ring represents a year, the new stud was chopped down when it was under ten years old. The other was... I don't know, I stopped counting at forty-five. Also, note how close together the rings are in each. The younger tree grew at a tremendous pace compared to the old one. The size, number, and orientation of the growth rings determine how boards perform in the categories listed above. Which I'll get to soon -- it's daylight, and time to get to the jobsite.